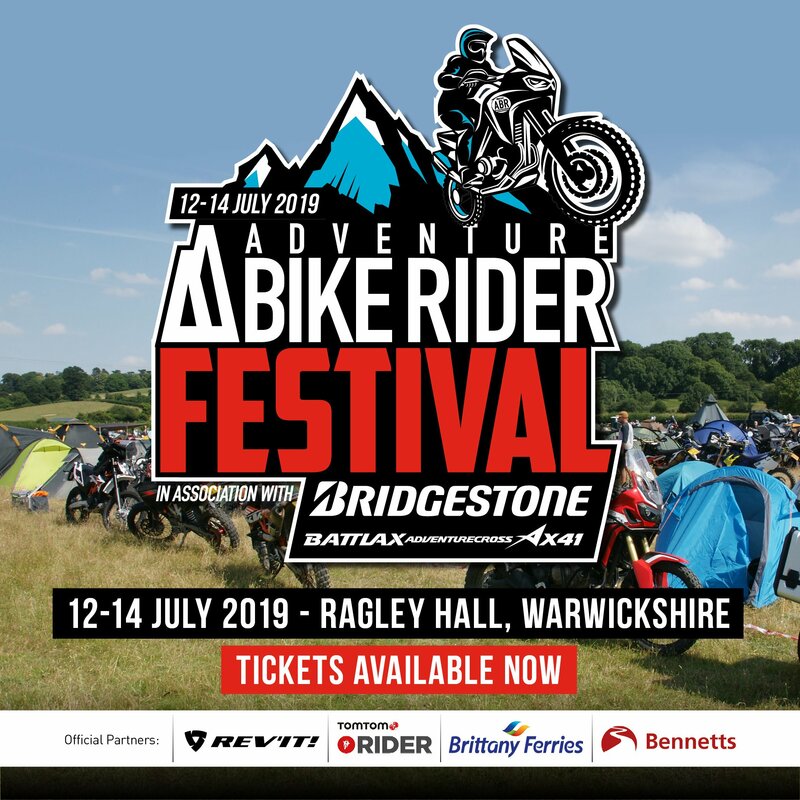 Buying adventure motorcycle boots can prove a baffling experience, especially when you are confronted with the huge variety of styles on the market. The best advice is to keep it simple. 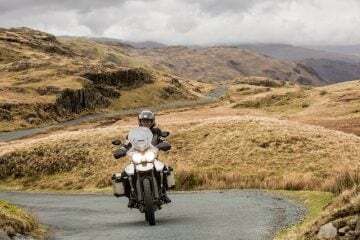 By asking yourself a few important questions at the outset about the type of rider you are, you’ll narrow down the field in no time and be ready to head off on your next adventure. 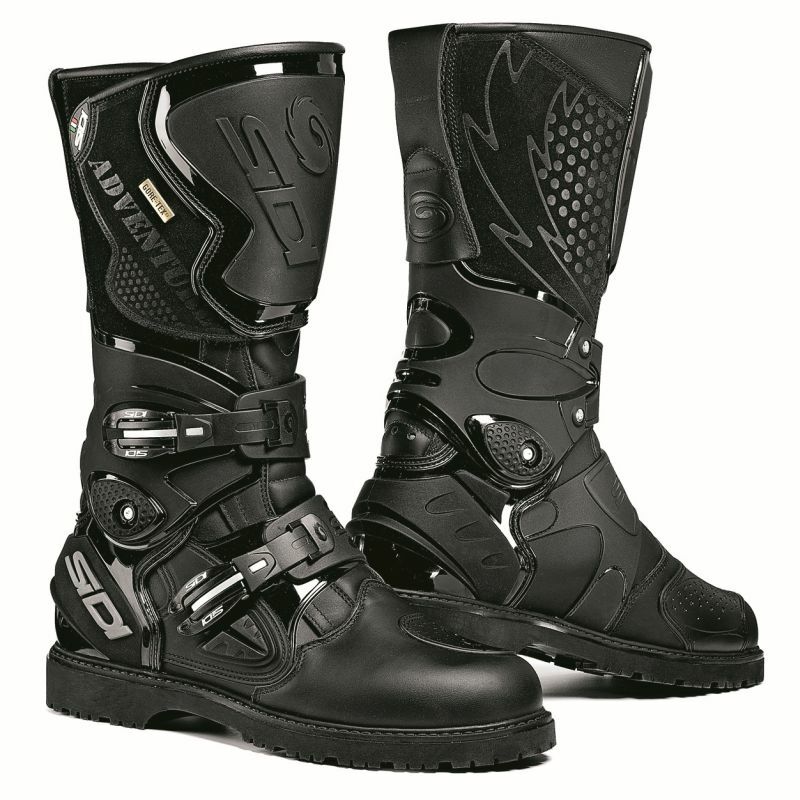 We’ve teamed up with online bike store XLmoto to help ensure you buy the right boots for you. Whether you are buying hiking boots, running shoes, or motorcycle boots, the most important thing to consider is how they fit your feet. People’s feet come in all different shapes and sizes and so do motorcycle boots. Sizing between manufacturers can vary wildly. For example, some manufacturers make slightly wider boots, some slightly narrower. So forget about looks and features for a moment and make sure the boots fit comfortably. Also be aware that your feet will swell up when they get hot and throughout the day, so factor this in when thinking about fit. And it’s also a good idea to wear the socks you ride in when trying new boots on. 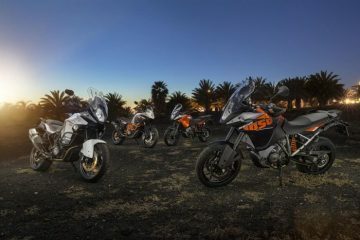 By asking yourself what kind of rider you are, you will be able to determine the type of boot for you. Do you ride green lanes? Do you cover thousands of miles on tours across Europe? Do you commute to work by bike? 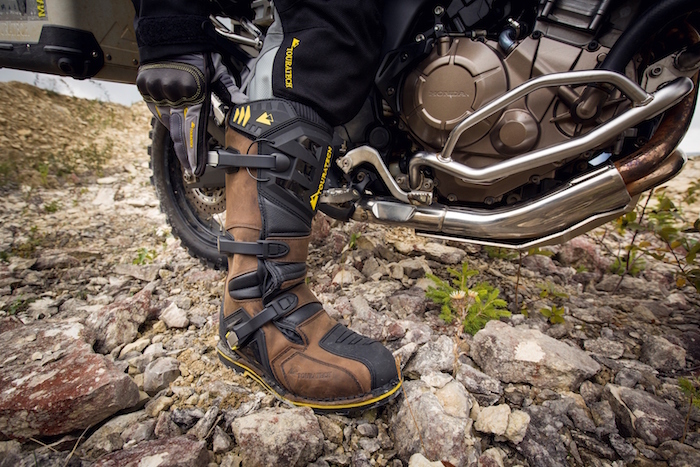 If you are in the market for an adventure boot, let’s assume you are planning to ride off-road at some point. This means you will need enough protection to attack the trails with confidence, safe in the knowledge your feet, shins and ankles will be protected in the event of a spill. 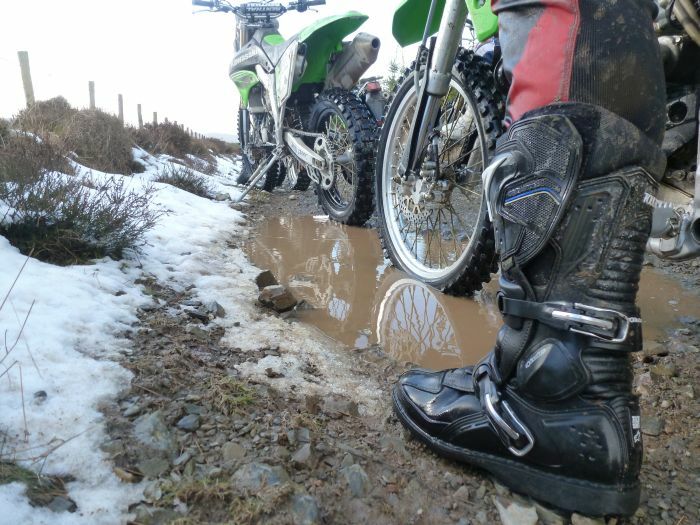 Boots designed for off-road riding should have a stronger shin guard, more rigid ankle and stiffer sole than those designed purely for road use. These features should stop your ankle from rolling on uneven ground and protect you if your bike falls on your leg. However, a stiff boot filled to the brim technical protective features will likely sacrifice comfort. 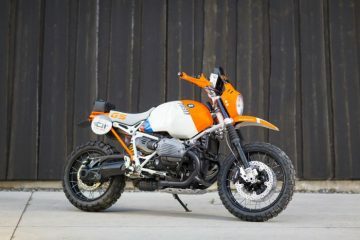 If you are the type of adventure rider who sticks mostly to roads and who likes to walk around in their motorcycle gear while on tour, then you may be better suited to a touring boot. The sole will be more flexible and the boot will likely be lighter, providing better comfort. And while the levels of protection will not be as high as an off-road orientated boot, a touring boot will still look after your feet in the event of a spill. The type of waterproofing you need, if any, will depend on the kind of riding you plan to do. Waterproof membranes like Gore-Tex are great if you’re spending a lot of miles on the road as they’ll stop the rain getting in. 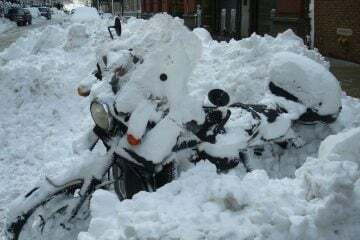 However, they will also stop water getting out, so if you’re ploughing through water crossings where liquid pours in over the top of your boot, you’ll have wet feet until you can stop and empty it out. Waterproof membranes also result in hotter boots, no matter how breathable the manufacturers claim they are. As a rule, if you’re riding a lot on the road, it’s a good idea to have some form of waterproofing, particularly in Europe where you can almost guarantee it will rain at some point. The higher the boot the heavier and, generally speaking, the more uncomfortable it’s going to be. On the flip side, high-rising boots offer a lot more protection to the shins from flying debris and, providing the waterproof lining extends up the wall of the boot, you’ll be able to go paddling in deeper bogs and puddles without getting your feet wet. These will provide support and protection against impacts from flying debris, or if you fall and the bike lands on you. 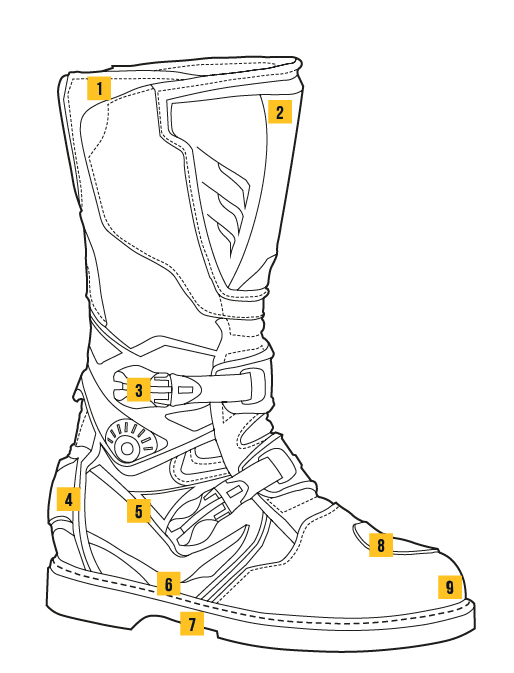 The more protection your boot has, the less comfortable it’s going to be, but it’s important to find the golden middle ground for the type of riding you’re going to be doing. Adjustable, quick-release clasps can be a godsend when they’re well built, or a frustrating pain in the arse if their quality lets them down. Should be easy to secure, and positioned so as not to dig in. The heel cup, essentially, is a piece of moulded plastic that has been placed between the inner and outer of the boot. Its job is to keep the foot in place and prevent it from lifting when walking. If it fails to do this then you can expect an increased likelihood of blisters when walking, and a decrease in control when on the bike. Most boots will feature a layer of EVA or Polyurethane between the sole and footbed to provide additional shock absorption and help cut out vibrations from the bike. You’ll also find extra padding and cushioning through the ankles to provide extra comfort. The lateral stiffness and flexibility of a boot is determined by the type of midsole used in construction. Sandwiched between the footbed and sole unit, the more flexible the midsole, the more comfortable the boot is in use. However, if you’re paddling over uneven terrain, or if you have an accident, a stiffer boot will provide better protection from twists. 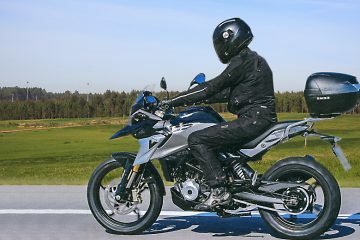 You can test the flexibility of a motorcycle boot yourself by taking hold of the heel and toe and twisting it in opposite directions. A stiffer midsole won’t budge. A deeper, more aggressive tread is best if you intend on doing any off-roading, and essential when taking on any snow or mud. Equally, a smoother tread is better for riding on the road, as there will be a larger surface area in contact with the tarmac. Consider the sole of your boots as if they’re tyres on a bike. If you’re predominantly riding on road, you wouldn’t put knobblies on your wheels, and vice-versa. The sole can be glued or stitched to the upper, and a combination of both is ideal. 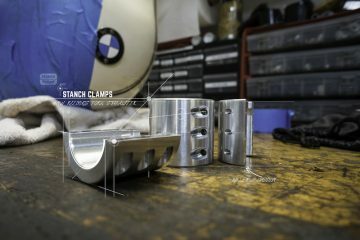 Most motorcycle boots will have these, and for good reason. They serve to protect the leather of your footwear from abrasion caused by the gear lever during up-shifts. They should be placed in the correct position so that they sit underneath the gear lever in use, and equally, don’t dig into the top of your foot when you walk. A toe box serves to protect the leather of your footwear from abrasion caused by the gear lever during up-shifts. They should be placed in the correct position so that they sit underneath the gear lever in use, and equally, don’t dig into the top of your foot when you walk. 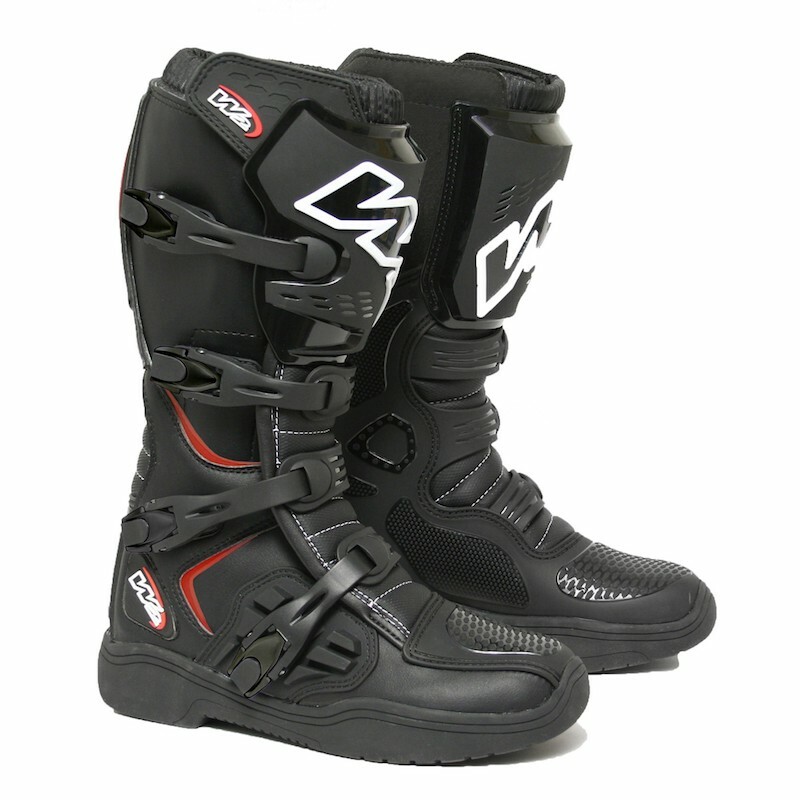 For a wide selection of motorcycle boots head over to XLmoto. The website provides a handy breakdown of each boot’s features and the type of riding they have been designed for, to help you choose the perfect boots for you.